The Competition in Flower Mound is GREAT!!! 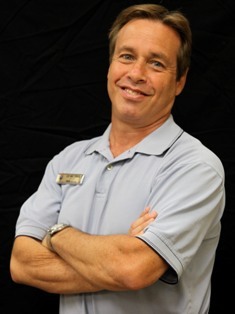 I just wanted to give a shout out to Lee Holtzman from REMAX Advantage in Lewisville to say THANK YOU! Lee is my competitor and he presented an offer on one of my listings two days ago. What I like about Lee is that when he sent the offer, he also sent me a very nice letter. His letter began by thanking me for being available and complimenting the Seller's on their beautiful home. To quote Lee, "They sure know how to stage it!!" This single line was very much appreciated by my Sellers. After I listed the property, I paid for an initial Staging Consultation. Although the Seller would have liked to hire the Stager, in this price range, it was too costly. My buyer took some of the recommendations that the stager had to offer, and staged the rest on her own. She did a beautiful job and it paid off! This was the very first time I had the pleasure of working with Lee Holtzman. For Lee to mention how well he liked the Seller's staging was exactly what she needed to hear. After 37 showings of, "Nice house, but.....," Lee's offer and nice letter was exactly what my Seller wanted to hear. I don't think many people realize the effect feedback has on a Seller. A sincere compliment and good critique goes a long way in business. In the body of Lee's letter he outlined key points about the property, the comps he used, and an explanation for the offer. His letter was uplifting, factual, professional, and very well written. Lee attached his Buyer's pre-approval letter and information about ways in which I could reach him. I forwarded the letter to my Sellers along with Lee's letter. In my opinion, Lee made a great first impression in a different sort of way. Common courtesy and kindness goes even further in making a business transaction work. I appreciate a good REALTOR®. In most cases, it takes two. The Listing Agent and the Buyer's Agent. Being tactful without being rude is an awesome way to do business successfully, right from the start. I look forward to doing more business with Lee Holtzman. I would recommend Lee to anyone. "The Little REALTOR That Could"